Hello and Happy Poetry Friday! Be sure to visit Catherine at Reading to the Core for Roundup. Can you believe it's just one week until National Poetry Month?! If you signed up for the Progressive Poem, I will be sending you some information mid-week next week. Don't forget to sign up to receive a postcard from Jone's students. It's one of my favorite NPM traditions. 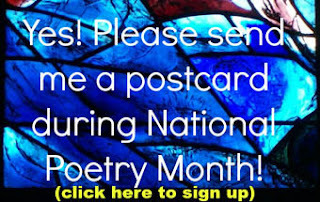 I also have a National Poetry Month postcard tradition, now in its 6th year! It features art, and it's free! Sign up by clicking the image below. 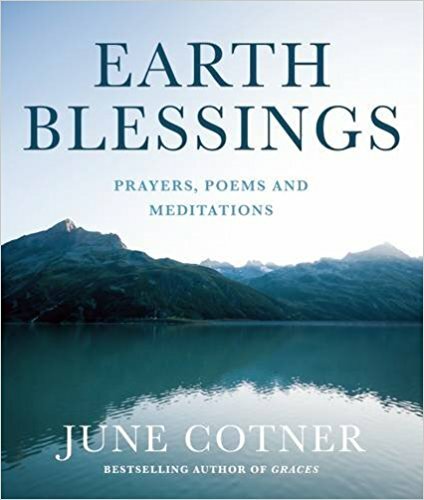 And now for a poem by Susan J. Erickson, as found in a book called EARTH BLESSINGS: Prayers, Poems and Meditations selected by June Cotner. to the green dome's passionate murmur. in a language with neither noun nor verb. I want to do much more listening with my spirit ear! This poem jumped out at me today for a couple of reasons. First, it's spring. 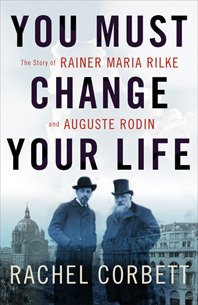 Second, I've been reading a book called YOU MUST CHANGE YOUR LIFE: The Story of Rainer Maria Rilke and Auguste Rodin by Rachel Corbett. So when I first read "Rumi" I was thinking "Rilke" - a mistake I have made more times than I'd like to admit! Anyway, the book is fascinating. I didn't know these two were friends! I'm actually far more interested in Rodin than in Rilke. I really had no idea the influence Rodin (and other artists) had on Rilke's life. I've long enjoyed Rilke's poetry, but I feel a kinship with him now that I didn't before, as art and artists are such an important source of beauty and inspiration in my own life. And Rodin! What a force! 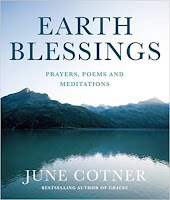 Books and poetry and spring... talk about abundance! Life is good. Thanks so much for reading! Rodin and Rilke were pure genius. Love that poem, Spirit Ear. Susan J. Erickson uses language with such authority and vision. Those last two lines. Ahhh. Among so many other flowers and the way their flowers make their way into our world, ferns seem so magical to me, and now this "their coiled heads muted cymbals/in spring's orchestra". It's a lovely way to look at them. I read Rilke often from my "year's poems", but it is nice to imagine those two creative souls connecting. I have The Swallow Man, still haven't read it, hopefully soon! Thanks for all, Irene! Such goodness here today. Love the Spirit Ear poem; Erickson is new to me. All three books you mentioned today look wonderful. Will have to add them to my TBR list. Thank you! The thought that all other creatures communicate "in a language with neither noun nor verb" is so amazing! Thanks for your rich PF blog Irene, so much here to ponder on . . . I actually did a painting a number of years back that has a Bewick's wren in it, unfortunately it's an endangered bird; "Spirit Ear"is quite a moving poem. 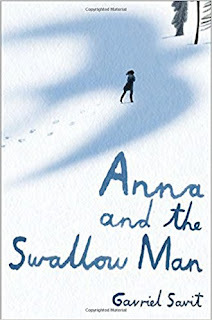 "Anna and the Swallow Man looks interesting also, I'll have to check it out. Spirit Ear is beautiful...and i must check out Anna and the Swallow Man, too. I love visiting your blog, Irene...I always walk away with so much lovely. Irene, didn't Rilke work as Rodin's secretary for awhile? Rodin sent him to the zoo to watch the animals. And wasn't Rodin rather rude to the woman (a female artist) he was living with? Or was it Rilke? Oh, I have to find this book. Thank you for this post. Yes, so many good things here today! Thank you, Friend. I didn't know about the Rilke/Rodin association either - fascinating. Dear Irene YOU are Spring. This is a sweet nest of nurturing. toward living the creative life in the natural way that turns out right. And, I must look up Bewick's wren! Didn't know it. Such an abundance of words and art and books, and yes, spring! Thank you for sharing these gems. Irene, thank you for sharing this lovely poem as well as the incredible books in your current stack! Thank you, Irene, for this bounty of beauty! I've been trying to listen with Rumi's "spirit ear" today without knowing it! Someone else recommended Anna and the Swallow Man a while ago, but I had forgotten it, so thank you for reminding me of it today. You Must Change Your Life sounds fascinating, too. Happy Spring to you! I'm enjoying your post as I sit and listen to the wrens sing. There's a turtle sunning on the rocks, too. Thanks for your always generous offerings.